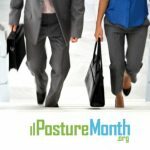 Posture is about balance, and that means a lot more than just alignment or standing up straight. No matter how crooked someone’s posture is, if they are vertical – the body is technically balancing. 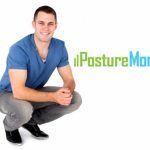 Your posture is literally how you are controlling your body mass to maintain verticality. In other words, it’s what you do with your head and shoulders, torso and pelvis, feet and legs – to keep from falling down. 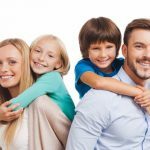 For example, if you really stretch out a hand and reach really far to grab something, you will throw your other arm or leg back behind you to counterbalance that weight and motion – otherwise you’d topple over! 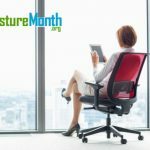 All exercise is not the same, and exercising with poor posture trains you to stand, sit and move poorly. 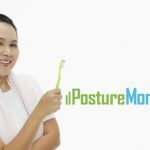 Strategies for strengthening posture include retraining with Motor Control Exercises (MCE) such as yoga, Tai Chi, StrongPosture® and Pilates protocols. 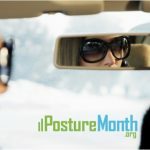 These motor control exercises are the best at helping you check in with your body (be aware), move your best (with core control), and get the most out of all your exercise and physical activity. 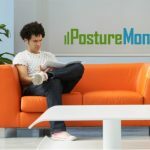 StrongPosture® protocols are a system used by professionals to train mental focus on one thing at a time, with specific Balance, Alignment and Motion (BAM) strengthening exercises using fun, low-tech tools like exercise balls to train muscles and your core so you stand taller and stronger. As you progress through any of these MCE protocols you begin to train better habits even when you aren’t thinking about it. 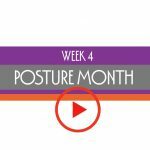 Reinforce posture awareness and core control to maximize symmetry for more effective exercise while reducing the risk of injury. 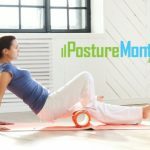 Integrating focused motion control exercise is one of the smartest ways to build mindfulness and body control.